The term “litter” is literally littered throughout GAP’s turkey standards – but what is litter and why is it so important? 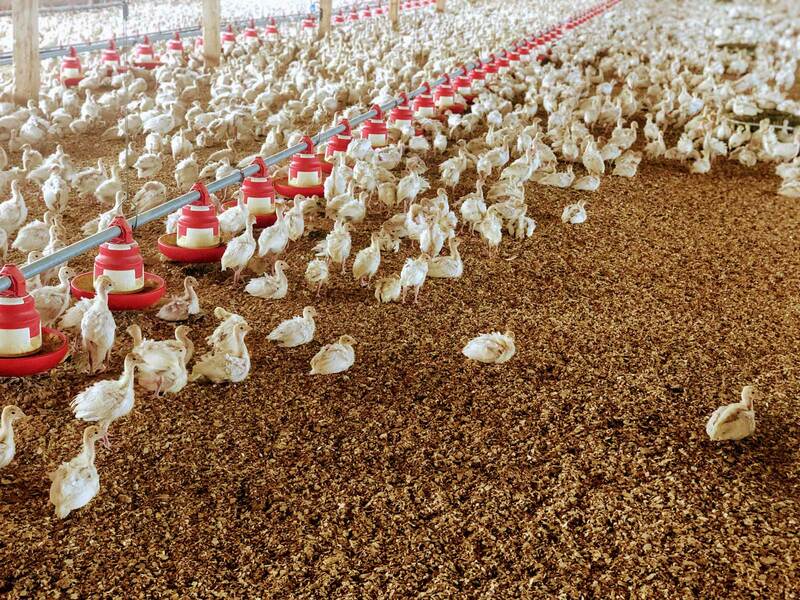 In poultry farming, when you hear “litter”, think “bedding” – not trash or garbage! Litter is a generic term used to describe the material spread on barn floors, that acts as bedding for turkeys. The main purpose of litter is to absorb moisture – from bird droppings or spilled water. The litter needs to be able to keep the surface dry in order to keep the birds dry. Litter that is not wet, clumped, or sticky means that turkeys have a comfortable place to rest and to perform natural behaviors like foraging, which includes pecking and scratching at the litter, and dustbathing. The type, depth, management and ultimately quality of litter can impact the health of the flock, so GAP farmers pay close attention to their management practices that affect litter quality. One of our supplier partners prefers to use wood shavings as their litter type. From the time the turkey poults are placed in the barn, they know it’s important to keep an eye on and manage the litter quality right from the start. Maintaining optimum litter moisture content is an art – too dry and it gets dusty, too wet and ammonia can build up! Wet litter can also create an ideal breeding ground for bacteria. Turkey health, especially their foot health, can be impaired if too much moisture and bacteria gather in the litter. That’s why it’s important to adapt ventilation to manage humidity in the barns in order to keep the litter dry. 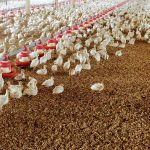 In addition, farmers can add a top dressing of fresh litter or rototill the existing litter, in other words, churn it up to help it dry out. 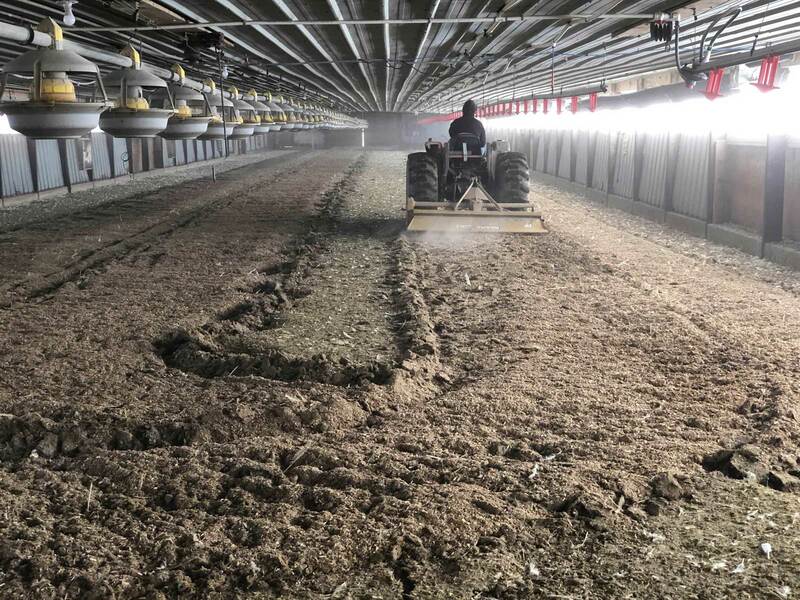 One of our supplier partners finds that rototilling is the best way to condition litter on their operations, which is often done while the birds are still in the barn. 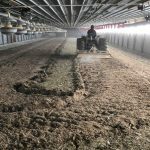 The farmers take special care to gather the turkeys on one half of the barn while the litter on the other half is rototilled – click the photo to see how they do it! Like this post? Let us know! To keep up-to-date with more posts like this, follow #GAPFarmLife on social media! Are you a GAP-certified farmer? Let us know what type of litter substrate you use!